City Express is the best place for business travellers who are looking for quality, comfortable and practical hotels at affordable prices. 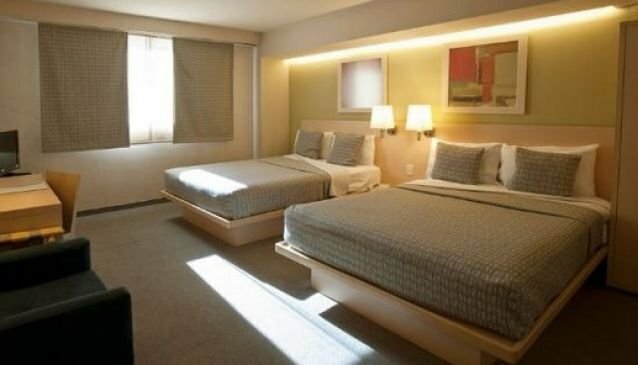 You will definitely get best value for money during your stay in the largest Spanish-speaking city in the world, Mexico City. Full of modern facilities and architecture, this hotel has a functional and contemporary design and eco-friendly services. Providing energy saving waste disposal and handling, they can reduce their greenhouse emissions and care for their natural resources. Centred in the heart of Mexico City, sights are easily accessed from the front door of the hotel to many sites of cultural interest such as museums and ancient Aztec ruins. Also, just a short walk away are the Insurgentes and Reforma districts that have department stores, great restaurants, a movie theatre and pharmacy.